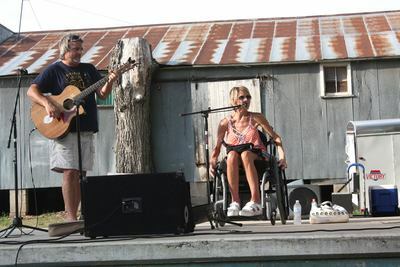 community held an event to raise funds for a special treatment. 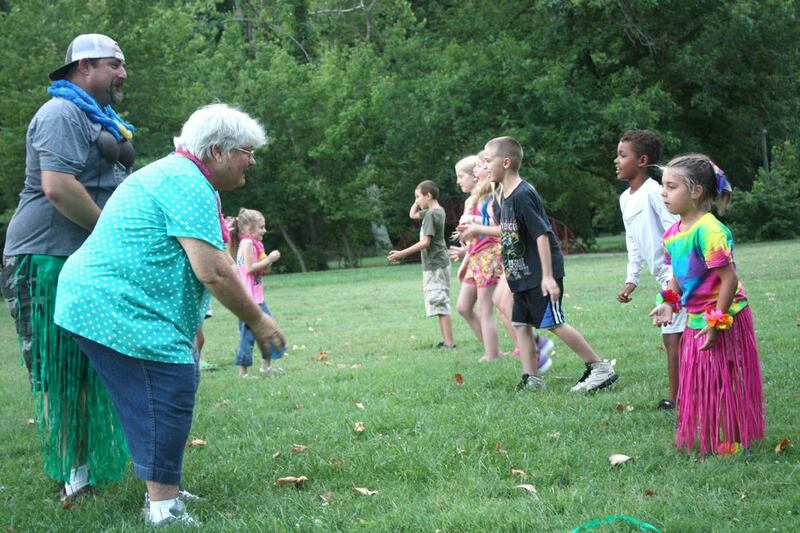 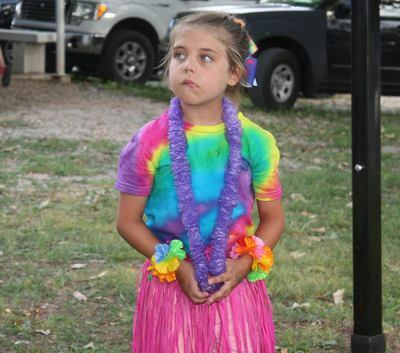 Since that first event was so successful, a luau themed event was held in the park this last weekend. All funds raised are going toward research, products and donation to help other CF patients from Berk. 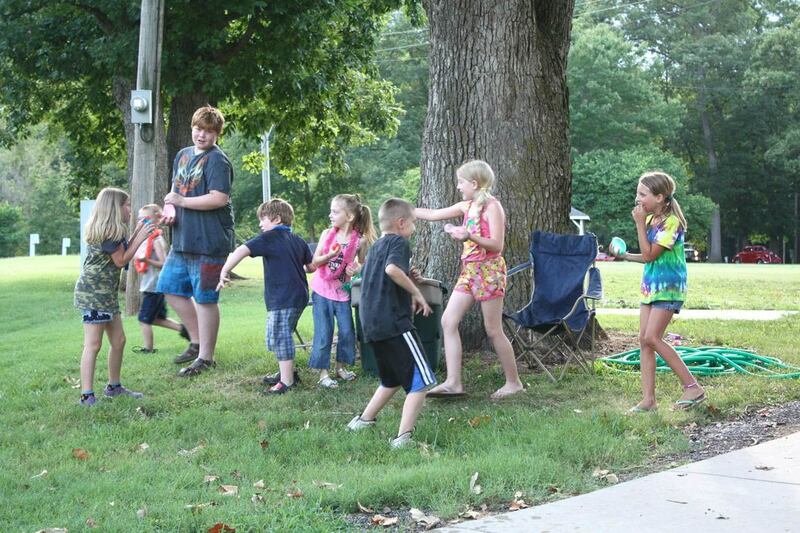 The friendly game of water balloon toss quickly turned into an all out water balloon war. Pictured above, many children gather around the wheelbarrow where the water balloons were kept. 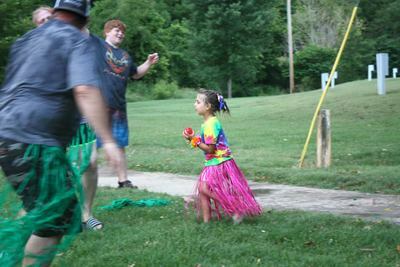 Kids and adults all got in on the fun for water balloon toss. 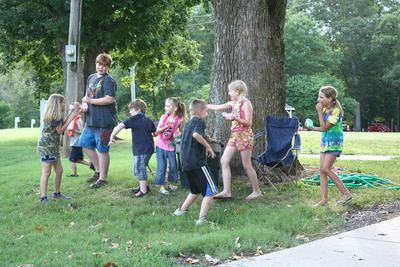 It was very hot and humid before the rain rolled in. 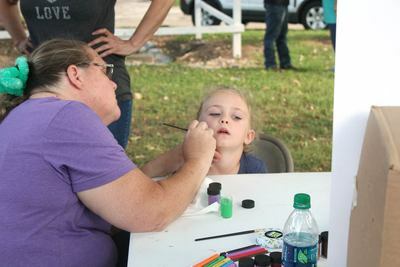 Brook Kuhs, 5, gets her face painted during the luau on Saturday, July 14. Members of the Lori Locke Band, Clint Dinkins (left) and Lori Locke (right) started out the live music entertainment at the Team Tiger Luau on Saturday, July 14, at the Crane City Park. *Note: click on any image to view a larger version without the caption overlay.